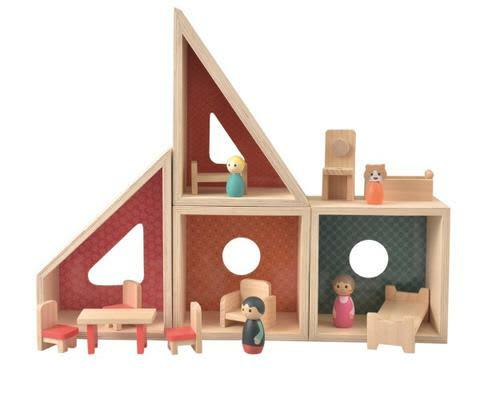 A retro wooden modular dolls house comprising four rooms with bedroom, bathroom and living room furniture and little family including the cat! Perfect for small spaces and creative construction, the rooms can be stacked or laid out in lots of configurations. Todd Sloane in London, United Kingdom.